Scam Srl has just attended very successfully the last edition of Ecomondo tradeshow (Rimini, November 6th-9th) , an international event with an innovative format that brings together all sectors of the circular economy in a single platform: from material and energy recovery to sustainable development. An excellent opportunity to show the consolidated collaboration with the American partner H.BARBER & Sons Inc., co-exhibitor, in which we have exhibited two great machines particularly effective for the removal of waste from beaches. 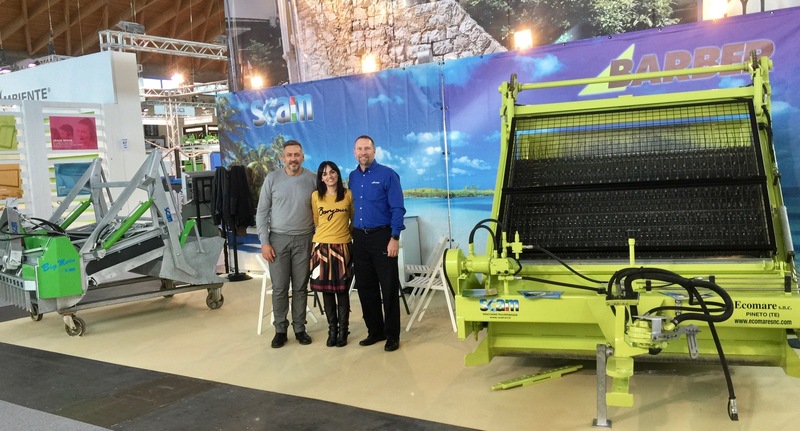 The two models on display, Big Marlin and Surf Rake 600HD, produced respectively by Scam Srl and H.Barber & Sons Inc, are used by large private or public companies to clean big beaches in Italy and all over the world.